Jessica Chenoweth is a speaker and author and executive assistant to Michelle Cox the creator/developer of the Just 18 Summers® brand. 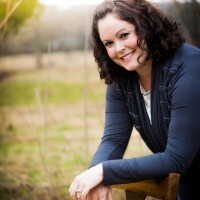 Jessica has written articles for Shattered Magazine, Christian Quarterly Magazine, and blogs regularly on her website at www.awakenedanew.com. You can connect with her at awakenedanew@gmail.com or on her Facebook page at https://www.facebook.com/pages/Awakened-Anew/285192118172614?ref=hl.